Perry is “currently under observation at the hospital," his spokesperson confirmed. 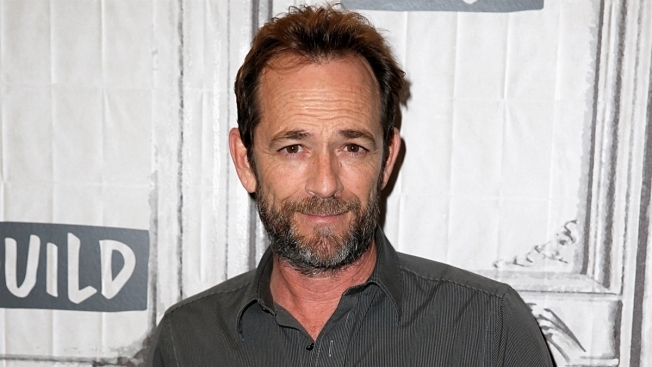 Luke Perry has suffered a stroke. The actor's rep confirmed to Access that he is currently under observation at the hospital after the LAFD responded to a 911 call in Sherman Oaks on Wednesday morning. The “Beverly Hills: 90210” star, who played Dylan McKay in the 1990s teen drama, was treated by paramedics and is “currently under observation at the hospital," his spokesperson confirmed. It was not immediately clear what the medical emergency was and his spokesperson did not provide any additional information on Perry's condition. Perry, who currently stars on The CW drama series "Riverdale," is not slated to join the rest of his former "Beverly Hills, 90210" co-stars in the Fox revival of the soap opera. The network announced plans Wednesday to reunite Tori Spelling, Jason Priestly, Jennie Garth, Ian Ziering, Gabrielle Carteris and Brian Austin Green for a six-episode event series. Actress Shannon Doherty, who famously played Dylan's love interest Brenda Walsh in the show, has also not yet signed on to join the lineup. The father of two — 21-year-old Jack Perry and 18-year-old Sophie Perry with ex-wife Rachel Sharp — revealed during a "Today" show appearance in 2017 that he would jump at the change to play Dylan again, especially if he could style his hair in Dylan's famously retro pompadour. "I'm gonna see if I can get that hair standing," he said, raking his fingers through his mane to fluff it up. "Yes, if I get the hair back up." As news of Perry's hospitalization spread, celebrity friends of the star shared their concerns on social media. Perry has had roles in a handful of films, including "The Fifth Element," ''8 Seconds" and "American Strays." He appeared in HBO's prison drama "Oz" and voiced cartoons like "The Incredible Hulk" and "Mortal Kombat." In recent years he starred in the series "Ties That Bind" and "Body of Proof."